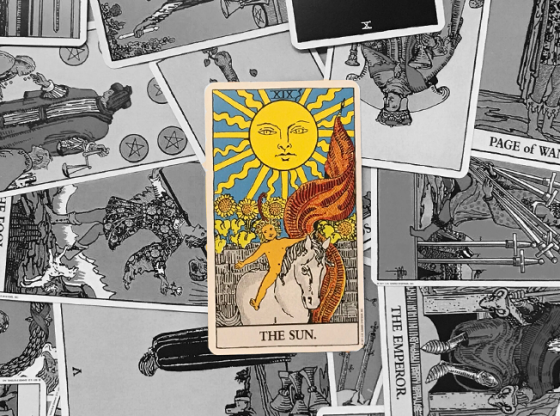 Of the four suits of the Tarot, only one deals with the things in life that we can touch and hold and possess. Cups rule emotions, Wands rule creativity and Swords rule ideas, but it is Pentacles that rule the material world and all the things it offers. When a card from the suit of Pentacles is in your Tarot reading, there are concerns about your income and personal possessions. 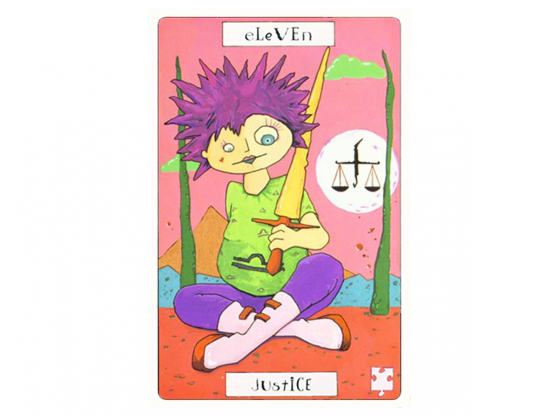 When there are a few cards of this suit in your Tarot reading, issues related to your finances and property are front and center in the scheme of things. 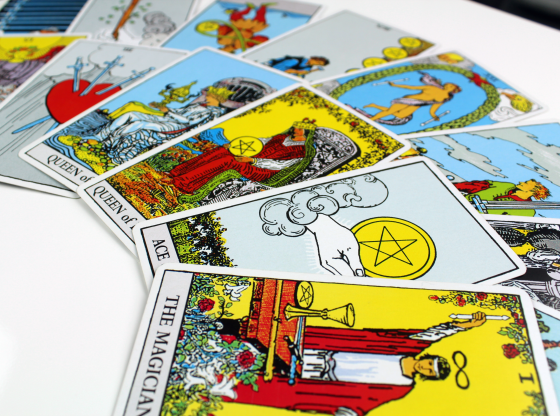 A Tarot reading emphasizes the energy in your world that is the most palpable and when the things that you own or desire are dominating your thoughts, emotions and inspiration, Pentacles take over your reading. 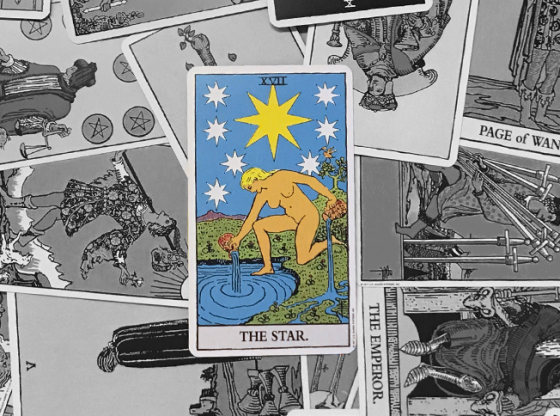 There are fourteen Pentacle cards in the Tarot deck, each one focusing on a different issue relating to the material world. In sum, they constitute an overview of how we all relate to money and objects. Individually, they capture the essence of a moment in our relationship with tangible things. 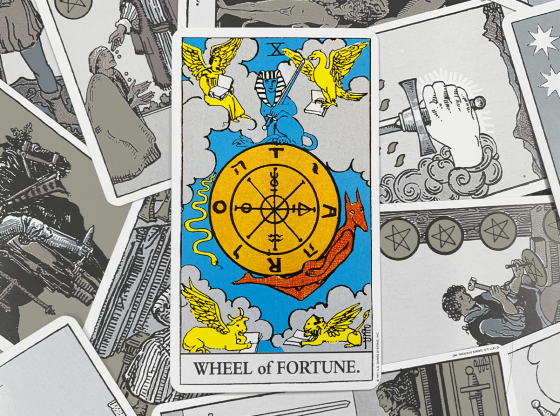 Look at each card with a Pentacle as a piece of the possession puzzle. The Ace of Pentacles is the Tarot’s equivalent of ensuring financial prosperity for some time to come. The dominating nature of this card is such that it may adversely affect your relationships with people who do not thrive in a world that flaunts material wealth. 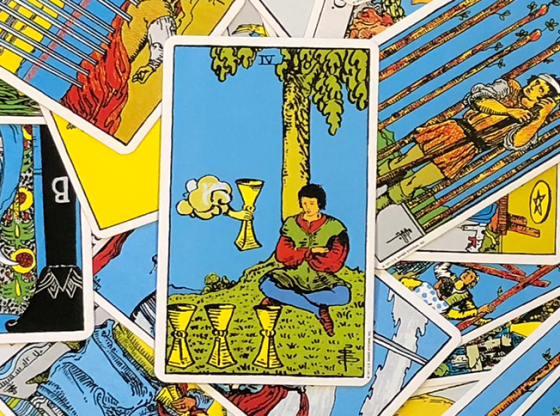 The Two of Pentacles warns that balancing your financial needs and your material pleasures can be an all-consuming thrill ride if you are not careful. Not appreciating your stability, you could be rocking the boat by spending wildly for stimulation. 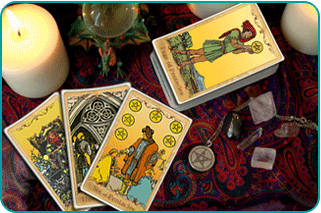 The Three of Pentacles appears when you are laying the foundation of a large project. It indicates that there are other people in your life who have a hand in what you own, be it as controlling things or as beneficiaries. This is a stubborn streak manifesting as an obsession with clinging on to what is yours. You may feel some justification as the Four of Pentacles appears quite often after something has been taken away. But it is a card of holding one’s self back and not realizing the true potential of your own assets. The Five of Pentacles continues the themes of the card before it by reminding you that by ignoring your potential to create wealth, you could end up on the outside of all opportunity. This card is one where regrets and reminders merge into a cautionary tale about finding and embracing financial opportunity before it is too late. Many cards involved with the material plane are about the effect that money has on you. The Six of Pentacles is about how you make an impact on what you put out into the material plane. Creating and compensating are important parts of the economic cycle and when you are in control, the chance to do more than just spend freely becomes a responsibility. Sometimes even when you know you should have something, you must wait. The Seven of Pentacles alerts you to circumstances beyond your control and lets you know that a peaceful outcome with much abundance does await you. The problem, though, is that it might be a long while before you get what is rightfully yours. The need to work for what you want in the world is apparent when the Eight of Pentacles appears. Nobody is going to give you cuts in line or hand you a winning lottery ticket. On the other hand, everything you do works out to your advantage, so embrace the material plane’s card of getting what you want by earning it all yourself. The Nine of Pentacles appears when the bills pile up. At its worst, it reflects you being stuck in a small space admiring things you bought that you do not need and that don’t love you back. At its best, it shows you isolated from the world as you play with your toys and revel in the things you own without anyone else. The Ten of Pentacles almost guarantees an easy time with money and indicates a chance to make permanent the gains in your life. Whereas the Nine of Pentacles keeps you isolated, this card entwines the material plane with the social sphere. Money and investments serve as the foundation for you to develop a network of friends and security for your family. The Page of Pentacles represents the youthful feeling when you take ownership of something for the first time. The Page is young energy and can signal buying your first car or home no matter your age. The downside of the Page is immaturity, selfishness and unnecessary extravagance. 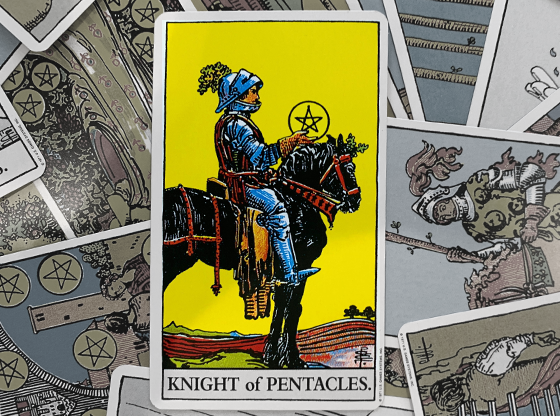 The Knight of Pentacles represents the time in your life when you begin learning about how to use money as a tool. You can get more out of money as an investment than you will if you just spend it. The difference between the Page and the Knight of this suit is that while the Page card appears in the reading of a first-time home buyer, the Knight appears in the reading of someone investing in homes as rental properties. The Queen of Pentacles might be the most enjoyable of all the Pentacles cards. A lot of issues surrounding money are tense and stressful. The Queen enjoys her wealth and this card appearing in your Tarot reading indicates that you will have a pleasurable relationship with the material plane. The Queen is the original “Material Girl” and might even take you on a shopping spree! The King of Pentacles is often an indicator of someone who can help you financially. This is not necessarily a position of subservience for you. The King could be a bank or a trust fund from your parents or a loan that enables you to get much accomplished. If you are the King in your reading, though, it indicates a comprehension of what your material position in the world can achieve. When a reading with many pentacles features an Ace card from a different suit, your material advantage is increased. 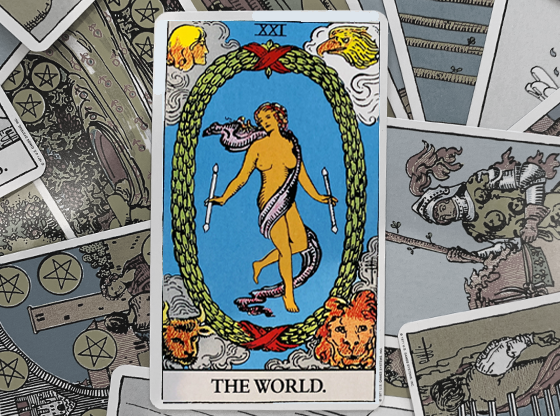 The Ace of Swords delivers new investment strategies and ideas. 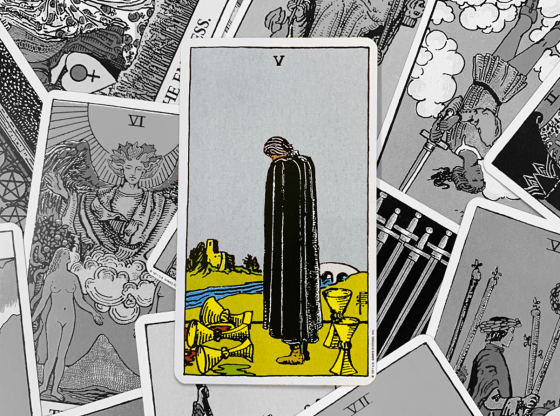 The Ace of Cups gives you a good hunch on making a wise purchase. The Ace of Wands in a reading with a few Pentacles delivers creative insight on how to make the most out of what you’ve got in this world. 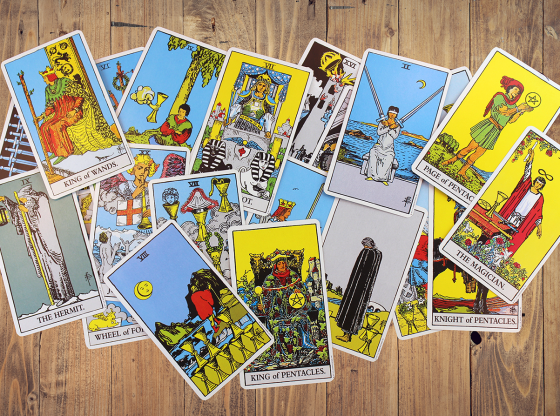 And you may as well make the most, because when it comes to the material world represented by the Tarot’s suit of Pentacles, you really cannot take any of it with you.